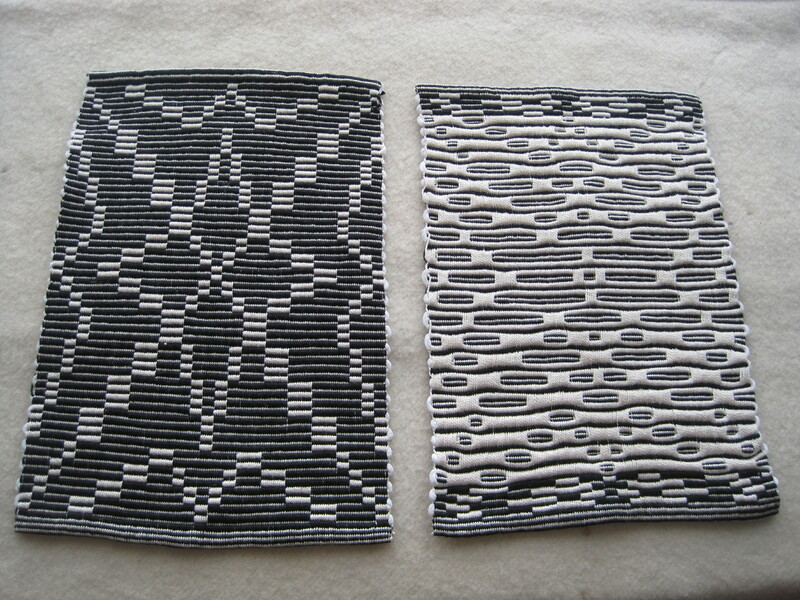 After the workshop I returned home and finished weaving, then washed dried and hemmed the mats. 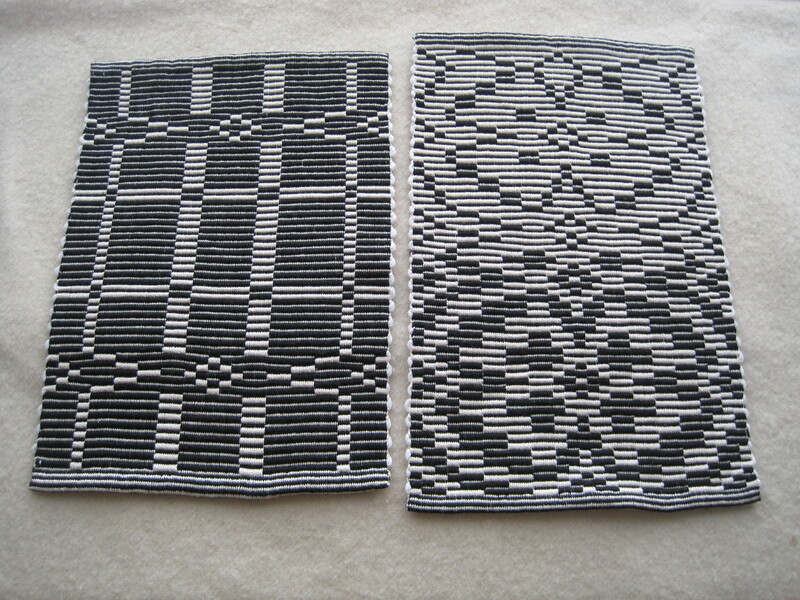 The results are four reversible place mats, and one shorter mat for the centre of the table. All now ready to be put into service. Makes me want to have a black and white dinner party! Here, I think using warp floats made a very interesting effect. 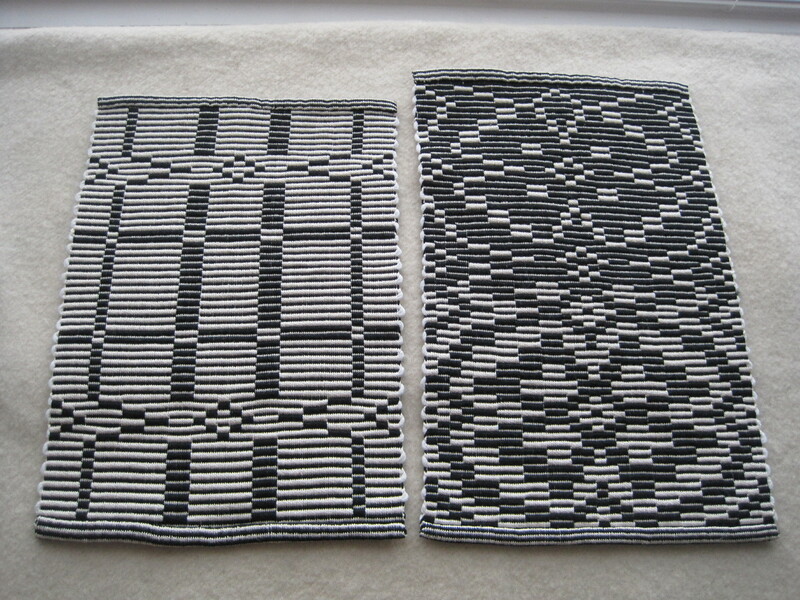 For anyone interested in Repp Weave, I would highly recommend this workshop – Rosalie Neilson is a very knowledgeable and patient teacher, and the pace of the workshop, between theory and hands on, was just right for me. 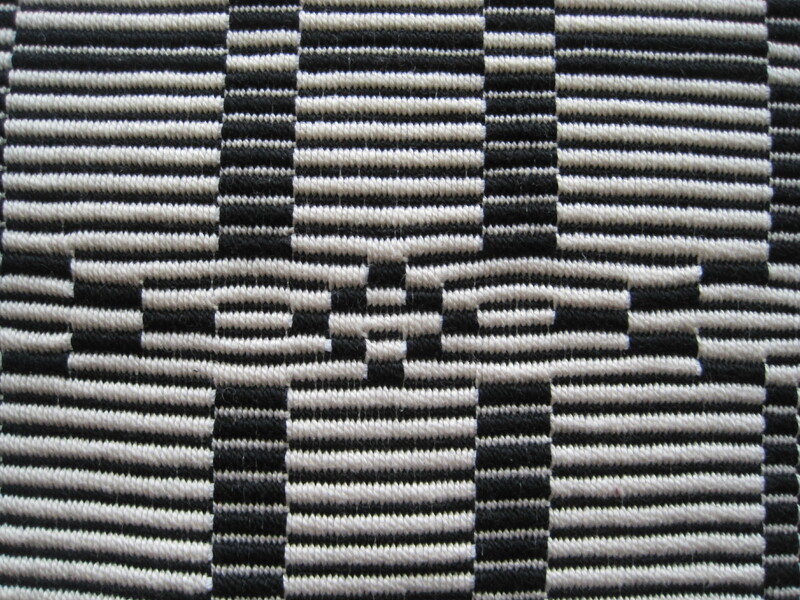 Using black and white cotton for the workshop encouraged me to focus on the pattern as it developed. 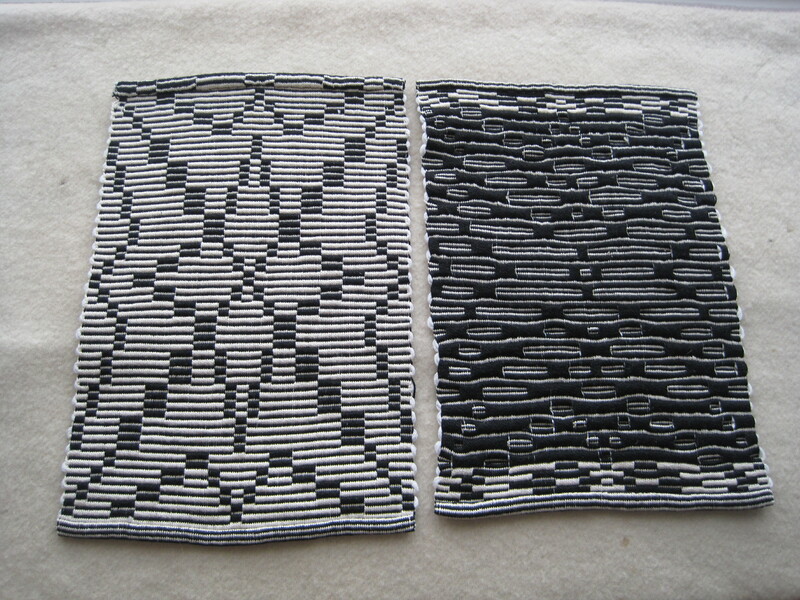 Next I want to try using multi-coloured warps and maybe even something in silk. 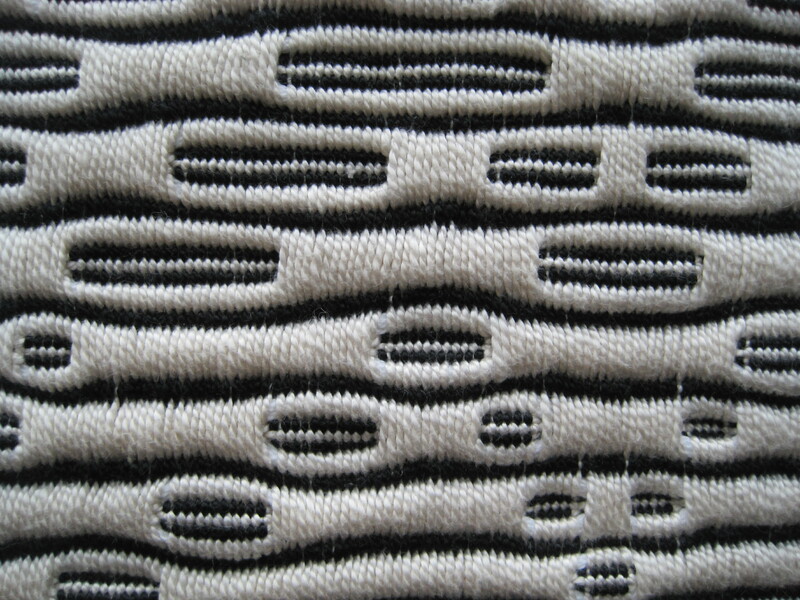 I have lots left to explore using this weave structure. 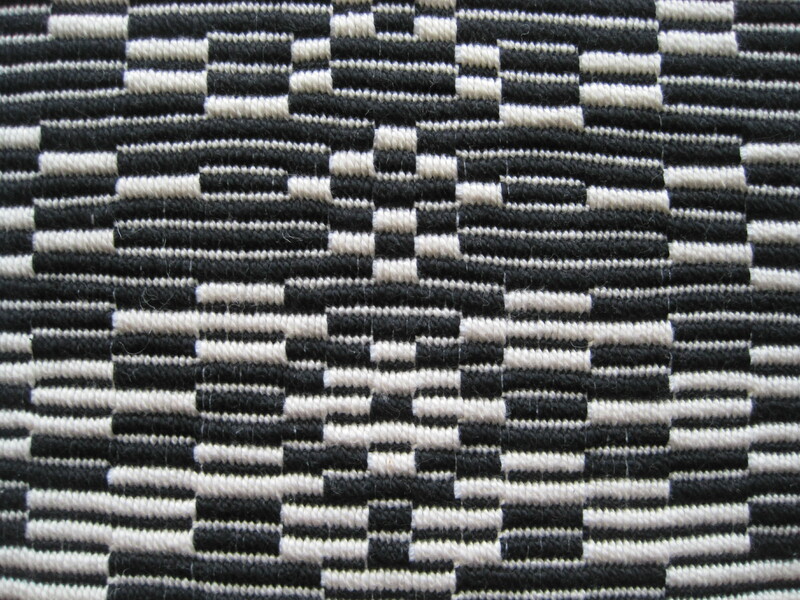 This entry was posted in Weaving and tagged colour, hand weaving, Repp Weave, Rosalie Neilson, weaving workshop. Bookmark the permalink. 2 Responses to And the results are . . .
Looks like it was a great workshop. Can’t wait to see what you do with Rep Weave in the future. Thanks, Barb. 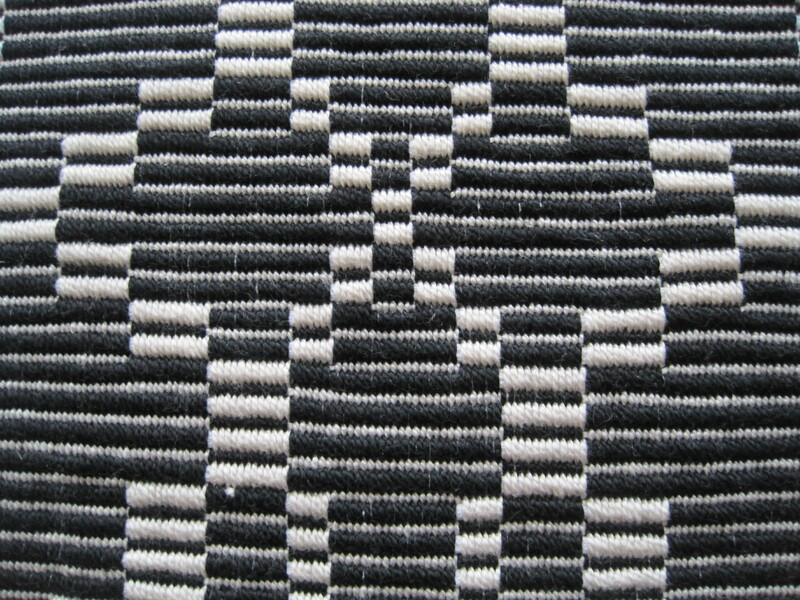 the next workshop I will be taking is on tablet weaving, so it looks like we are following similar paths.